Do you know who gets a hair cut once a year? Mountain men. Charles Ingalls. Probably Lewis and Clark. 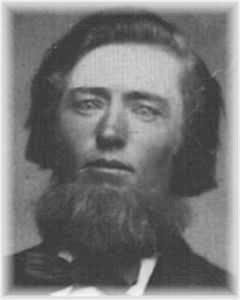 This is Charles Ingalls. You were thinking of Michael Landon, weren’t you? I haven’t “let myself go” after becoming a mom. I pushed and pulled and climbed until I lost the baby weight, I eat well (except those peanut butter pop tarts, but we shall not speak of those now), and I still do get all gussied up when I go out. Next week I’ll turn 40. But that isn’t some angst-producing, chest-thumping, wail-to-the-heavens-about-being-old thing for me. Meh. Just another ring on my tree. I am a fan of rings. They mean I’m not dead yet. Not dead is good. But somehow I have found myself drifting…out. It started on my last birthday, I think. It was a craptacular kick-off to a craptacular year of every conceivable part of our world throwing up some obstacle or horror. We also had some amazing gifts. Amazing. And through the scary, and the stressful, and the you’ve-got-to-be-kiddings we kept going, because that’s what you do. But we went forward with an iron fist around money, 3 month followup tests for the foreseeable future, and a heaving effort against the inertia that comes from being totally, utterly overwhelmed. And it is exhausting. I stopped writing. I stopped going out. I just did…stuff. Most of it by rote or obligation. I didn’t even get an ice cream cone once over the summer. Spontaneous joy had become a relic and I didn’t even notice until I made pie. Then I realized we had no one to share them with. For the first time in my adult life, I would not be able to slice off a chunk and drive to my grandfather’s farm to share it. It was his favorite. But his death was just one of the teeth-kickers we had last year. It made me think about all of the traditions I had growing up, and how death and disaster had taken them all away. With both of my grandparents gone, there was no longer a family hub; no longer a kitchen with room enough for thirty-eight to share a turkey. Or two. Both of us have lost our fathers, and one mother is far away physically, the other mentally. And we had relied on those homes for our traditions too. On decorating Christmas trees surrounded by framed photos of family, on circular arguments about where to order food. Those things were good, and comforting, and made us feel like we were home. And it wasn’t ’til I made that pie that I realized the house we’ve lived in for seven years isn’t really a home. It’s our house. It’s stopped actively trying to kill us, so there’s that, but it isn’t the cozy abode that inspires emotional serenity. I look around and see the abandoned projects, stopped when money got diverted to the defense project and the school supply list. I don’t see the pictures on the wall that we need, and we have nothing to do to prepare for holidays except figure out what to eat. It used to be a no-brainer on my birthday. Cottage Pudding Cake. A course, mild cake with a warm glaze of cinnamon and nutmeg. My father made it for me nearly every year, for as long as I can remember. But the recipe, though born of Fanny Farmer, was in his head. And it isn’t in her cookbook now. The year after he died, my friend, Morgan, rummaged about online and in cookbooks trying to find the recipe, but it seems to have disappeared over time. I need to build new traditions. I need to find things that comfort me and make me feel like I am home. I need to give that gift to my husband and my son. It seems that really, I need to think about life. We’ve spent over a decade hunkered down, weathering one storm or waiting for the next. So easy to forget that later is the beast that never comes, yet comes with every breath.. So for my birthday I am going to do some of those things I’d planned to do later. I’m going to buy some pretty candles and some picture frames. I’m going to remember the traditions that came from our families and try to find a way to build off them for us. And maybe, you know, get a haircut. No it doesn’t. I lied.